Harry Rountree was born in Auckland, New Zealand in 1878. Having studied at Queens College in his home city, he started working in a studio as a lithographer, primarily tasked with the design of labels for a variety of products. Rountree moved to London in 1901 at the age of 21 and attended the Regent Street polytechnic, studying under Percival Gaskell. Wanting to break into the burgeoning magazine and book market, he developed a suitable style that consisted of blocks of colour encompassed by jagged edges which was perfect for small illustrations and sizeable posters. At first he was less than successful, spending most of his time studying and struggling to market his work, managing only to sell a few pieces here and there. By 1903 he was contributing to various periodicals including the Humorist, Playtime, and Punch. His big break came when the Editor of Little Folks offered him a commission for the illustration of an extremely popular series of books featuring animals. 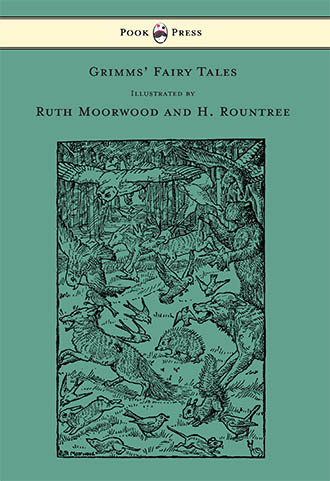 Subsequent to this, Rountree became exceptionally successful in London, illustrating books in the aforementioned series, illustrating his own book, and being highly sought-after by many of the publishing companies in the city. He had finally achieved the success that he desired, and he could pick and choose who he worked for. 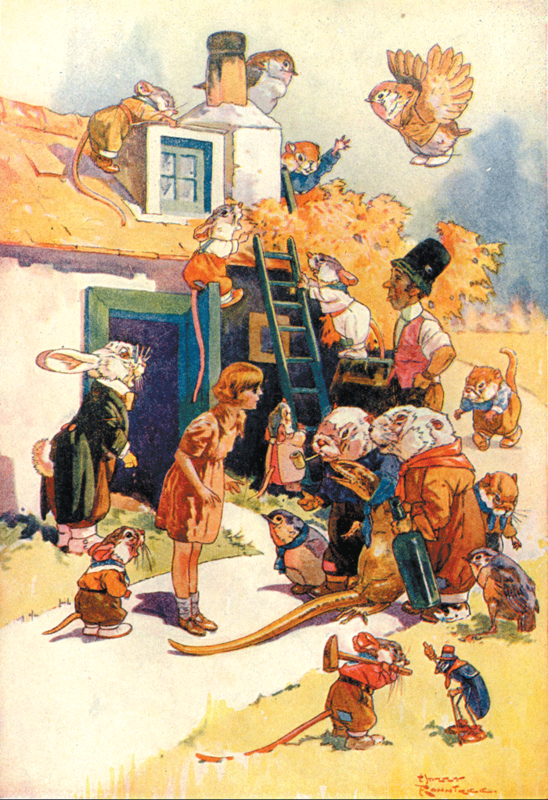 With a penchant for animals, he began illustrating books that would become children’s classics, including Uncle Remus (1906) and Alice’s Adventures in Wonderland (1908); the latter, including over ninety colour plates, is considered his pièce de résistance and the defining version of the famous book. 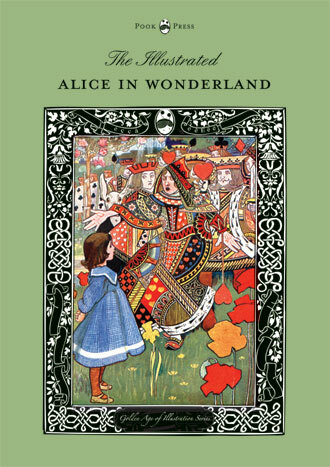 It was Rountree’s work on the Lewis Carroll classic that arguably solidified his reputation as an accomplished author of children’s books. Writing for magazine throughout almost all of his professional life, he produced almost innumerable illustrations that would become famous for their arguably unparalleled quality. Some magazines and periodicals that featured his work include: Punch, Cassell’s, Pearson’s, The Sketch, The Strand, The Illustrated London News, Playtime, Little Folks, and more. Between 1903 and 1942, his pencils, pens, and paintbrushes brought to life everything from rabbits to dinosaurs. He illustrated Arthur Conan Doyle’s The Lost World in its serial form in 1912, but unfortunately missed out on contributing to the book, whose pages were adorned by the work of Joseph Clement Coll. 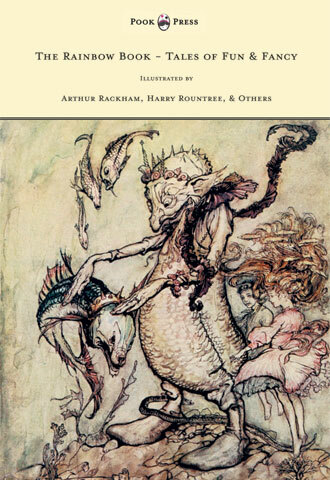 Recently, however, a volume by Roy pilot and Alvin Rodin called The Annotated Lost World (1996) was published that contains Rountree’s marvellous illustrations. 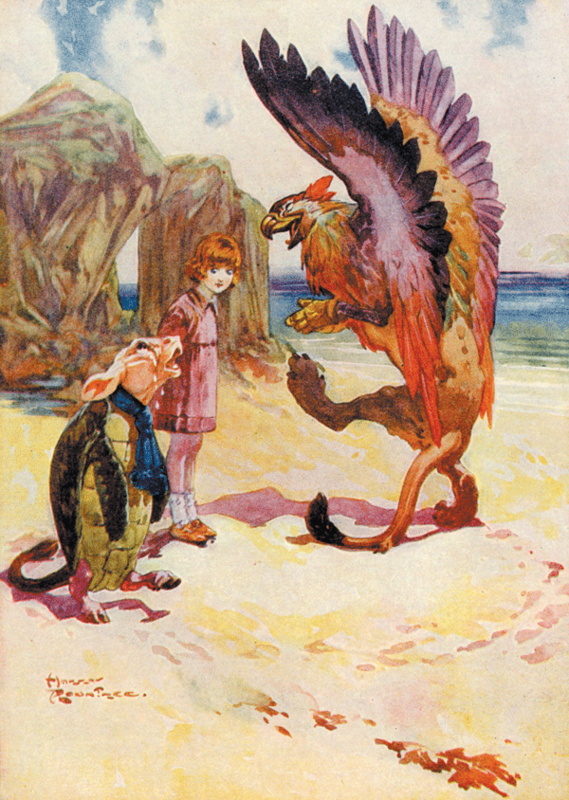 Although most of his best known work is to be found within the pages of children’s books, Rountree produced some astonishing illustrations for a variety of other genres. The Dolomites (1920), for example, is a travelogue that contains a selection of masterful and breathtaking watercolours of a mountain range in Italy. The Golf Courses of the British Isles (1910) is another gem, comprising over 64 fantastic colour plates produced on a golfing trip around England, Scotland, and Ireland. 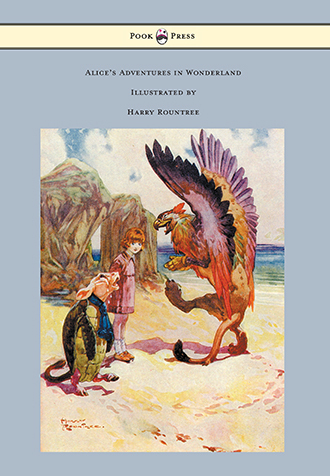 His enchanting illustrations brought the works of many famous writers to life over the years including Enid Blyton, S. H. Hamer, Edith Nesbit, Joel Chandler Harris, Albery Bigelow Paine, H. G. Wells, Frank R. Stockton, and many, many more. He belonged to the Savage Club and served as president of the London Sketch Club between 1914-1915. 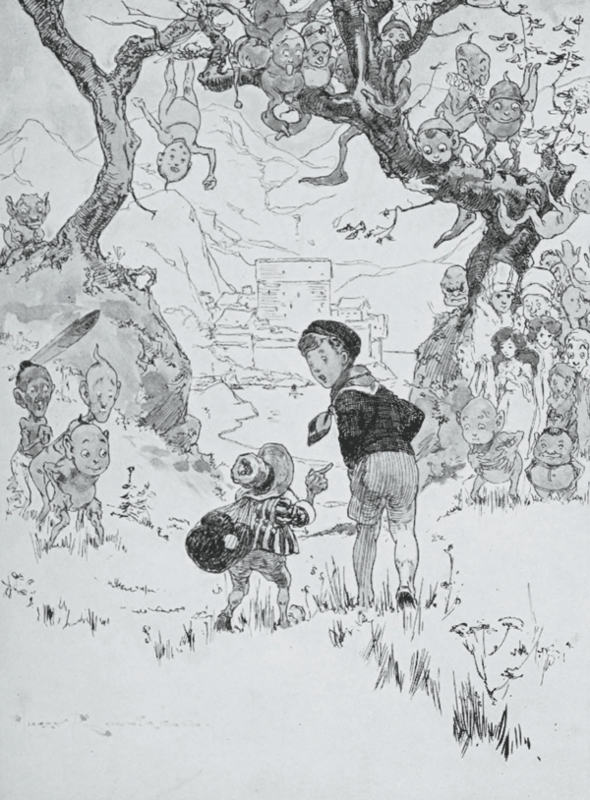 In his later life, as well as continuing to produce illustrations, Rountree contributed to the Radio Times. His was not, however, remembered or celebrated for long, and, on 26 September 1950, he died in poverty.